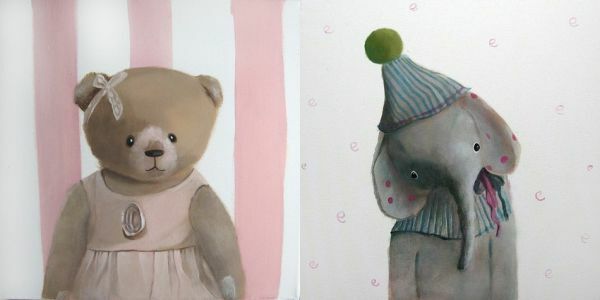 There is something sweetly sad about the oil paintings by Polish artist Amelia of inameliart. 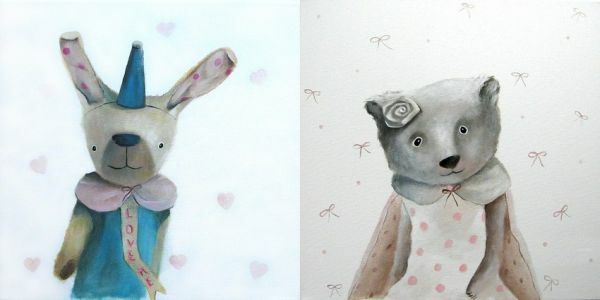 Teddy bears, bunnies, elephants and lambs look a little fragile, terribly endearing and thoroughly loveable in inameliart’s delicate portraits. 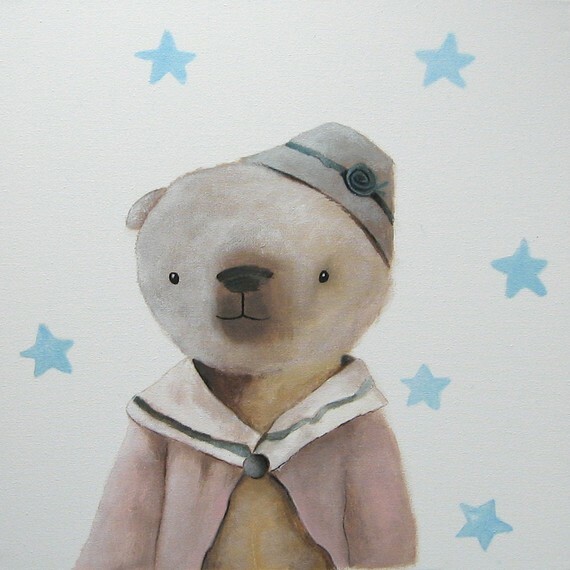 Each portrait is a one-of-a-kind and although her Etsy store has lots of charming canvases to choose from, you can also send inameliart a photograph of your child’s favourite soft toy to be immortalised in a painting. What a fantastic idea – I like the thought of kids parting with their lovely (or not) and being able to have a lasting memento of their beloved security item. Canvases are US$90 each and are available from inameliart’s Etsy store.